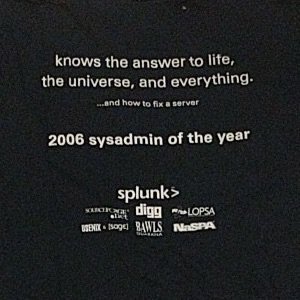 To recognize the system administrators who have a tireless, and often thankless job, in 2006 Splunk in conjunction with 6 other co-sponsors created a “Sysadmin of the Year” award. 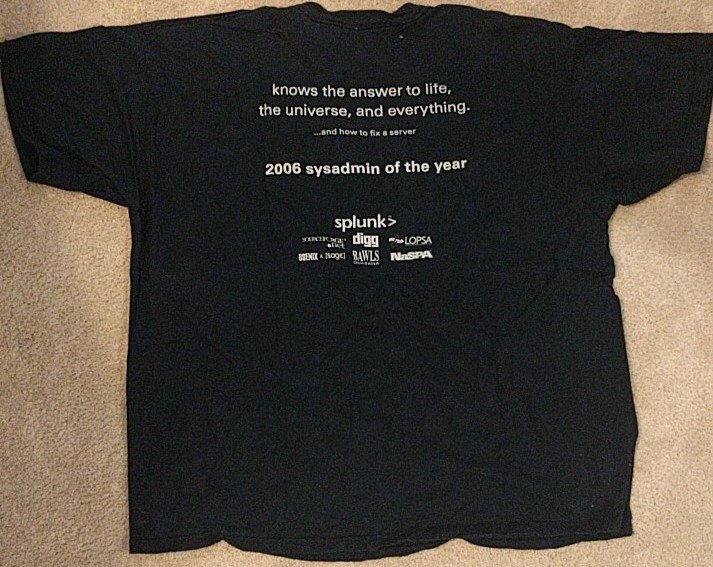 Announced on System Administrator Appreciation Day, nominees for this award at least were given this t-shirt. 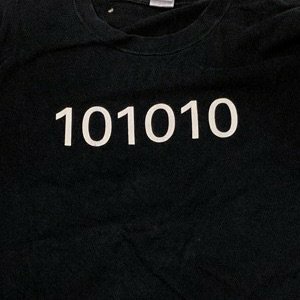 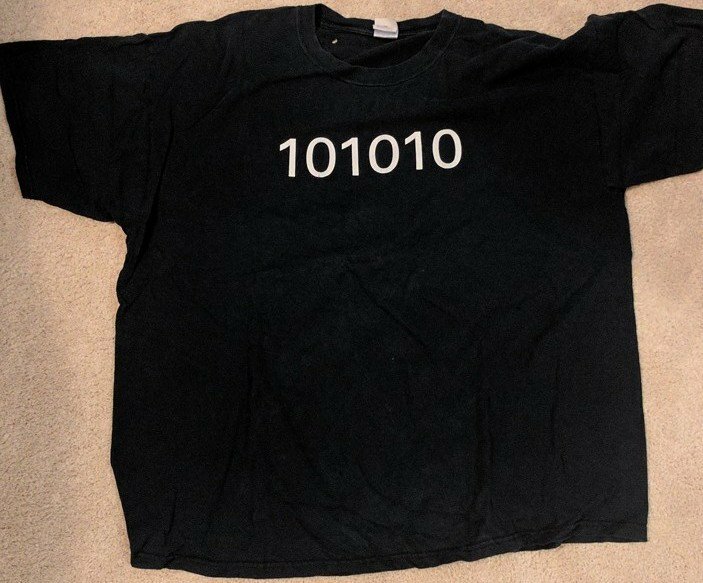 101010 is of course binary for the answer to life, the universe, and everything..